The banks now offer biggest cash bonus for switching current accounts. Clydesdale and Yorkshire Banks have launched a new £150 incentive offer on their main current accounts, including the Current Account Direct. The cash bonus is available to new and existing customers that switch their main current account using the Current Account Switch Service. In order to qualify switchers need to credit £1,000 (in a single payment) to their new account within 31 days of completing the full transfer. Clydesdale or Yorkshire will pay £150 to the new account within 60 days of the first £1,000 deposit. 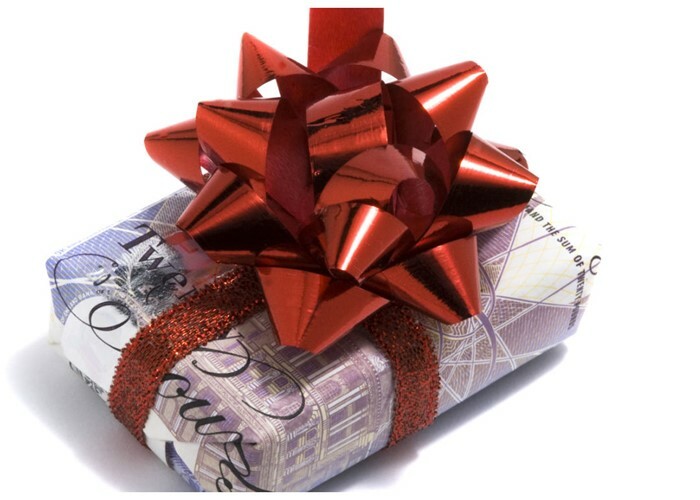 Joint accounts are only eligible for one £150 bonus payment. This is the biggest cash bonus available right now to tempt switchers, but it’s a limited time offer. To benefit a full switch must be initiated by 28th February 2015. The £150 bonus offer applies to new or existing customers that complete a full switch to any Clydesdale Bank or Yorkshire Bank personal current account. This includes Readycash, Current Account Plus, Current Account Direct, Current Account Control and Signature Current Account, as well the Private Current Account and Current Account Tracker (available to private banking customers). Readycash is a basic bank account that enables you to perform all your everyday banking needs, while the Current Account Plus also covers the basic functions but comes with a linked savings deal and competitive planned overdraft. Meanwhile the Current Account Direct pays 2% in-credit interest on balances up to £3,000. Interest is paid as long as you credit £1,000 a month to the account. It also offers a competitive overdraft which charges 9.9% EAR. But if you find you regularly run up bank charges the Current Account Control might be a better match. For £7.50 a month the account ensures you are free of unplanned borrowing charges incurred from situations like going over an agreed overdraft limit or a bounced cheque. Alternatively if you're after added benefits the Signature Current Account is available for £13.50 a month. This packaged account comes with worldwide multi-trip travel insurance for you and your family, worldwide mobile phone insurance, worldwide gadget cover, regular credit reports, UK breakdown cover and access to My Signature Rewards and preferential rates on a linked savings account. Since the introduction of the Current Account Switch Service, it's now easier to ditch unrewarding current accounts and switch to a better deal. The service takes care of the admin of moving your account and promises to complete the transfer within seven working days. In order to keep customers and attract new ones, banks and building societies have been ramping up the offers on their current accounts. Apart from Clydesdale and Yorkshire, three other banks offer cold hard cash to tempt switchers. Halifax is offering to pay a £100 bonus. With its Reward Saver account you also get paid £5 every month as long as you have two direct debits set up, deposit at least £750 each month and stay in credit. First Direct also has a cash incentive of £100. The offer is available to those that switch to its 1st Account. The online bank account gives you exclusive access to First Direct products and an interest free £250 overdraft. The Cooperative Bank is another bank offering to pay £100 when you open one of its current accounts, but as an extra sweetener will also pay £25 on top to a charity of your choice. At the moment Clydesdale and Yorkshire Banks pay the largest cash bonus to switchers. However, the interest on offer with the Current Account Direct does not match up to what’s on offer elsewhere. The Nationwide FlexDirect currently offers a market-leading rate of 5% on balances up to £2,500 for 12 months. It also offers a fee-free overdraft for 12 months and gives account holders access to exclusive deals. You can also get a market-leading rate of 5% in-credit interest with the TSB Classic Plus Account, on balances up to £2,000. However, the rate won’t drop away after 12 months. Elsewhere Tesco Bank offers to pay 3% on balances up to £3,000, the Bank of Scotland Classic Current Account with Vantage pays 3% on balances between £3,000 and £5,000 and Lloyds Bank will pay 4% on balances between £4,000 and £5,000. For larger balances there’s the Santander 123 Current Account. It pays 3% on balances from £3,000 up to £20,000. The account also pays up to 3% cashback on household bills.